Also, not very easy to get on with gloved hands (especially over the pinky) and run a little large on the pinky as well. I have used mitten overgloves in the past these are more comfortable. Take alittle longer to get on but prefer them over mitts or lobster claws! Bought these from tour we just got back from in New Zealand. Had a day of very heavy rain. These worked beautifully. Waterproof and good control. Fells like normal gloves instead of the big "mittens" feel from most overgloves. Really like this product. I have used these a few times in the rain, and they work great. I am able to use them on several different gloves types. They keep my gloves dry, but the finger tips are a little long. Good addition to my riding gear in the winter. If I wear a large (Alpinestars) glove. Is the large good for me? Or do I need the XL? 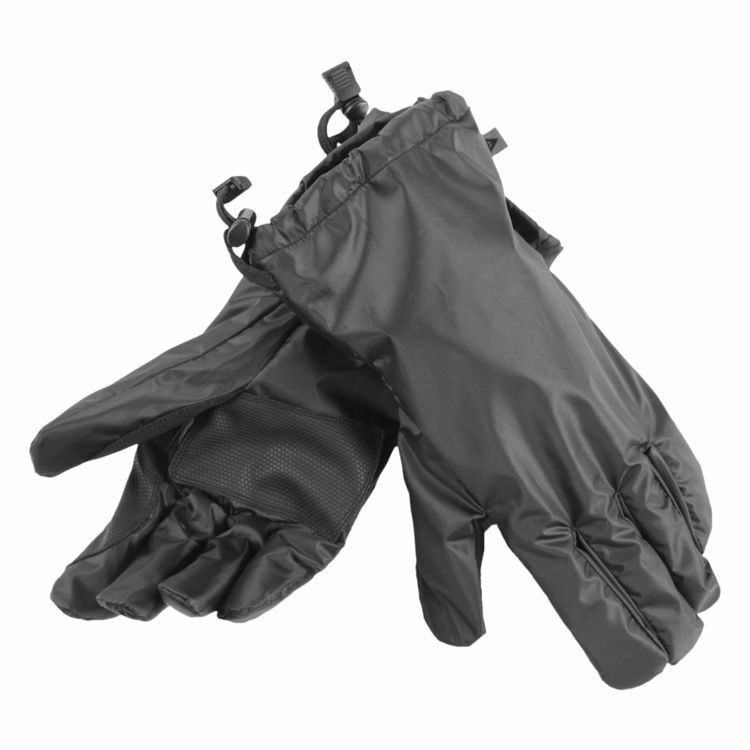 BEST ANSWER: I wear a medium in mens Alpinestars gloves and a large in womens Alpinestars gloves, I ordered the medium in these rain overgloves and they fit well except the fingers are a bit long (which is weird because I have super long fingers!) So if you wear a mens large I would say go with the large, size down if you wear womens gloves.